Hole Park has a long history and many years experience of growing Christmas Trees, going back over sixty years. From small beginnings as a by-product of estate forestry, we are now dedicated specialist growers and keen members of the British Christmas Tree Growers Association (BCTGA). Our business ethos is to provide fresh home grown trees to the UK market, for both Wholesale or Retail. 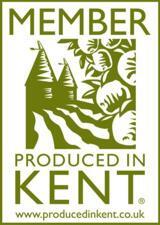 registered with Produced in Kent. Quality Estate grown trees to retail outlets in Kent and the South East and occasionally on a nationwide scale for larger orders. From the last week in November we are open 7 days a week – 10am until 4pm daily.